Slugger Manny Ramirez is among players who supposedly received banned substances from Biogenesis. Major League Baseball filed a lawsuit Friday seeking damages against the South Florida clinic Biogenesis of America and its operator, Anthony Bosch, for allegedly providing performance-enhancing drugs to players, the pro sports league said. 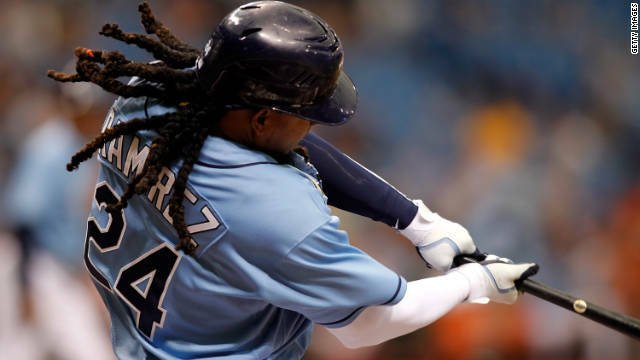 According to reports and the MLB suit, filed in state court in Florida's Miami-Dade County, the clinic reportedly supplied banned performance-enhancing substances to a number of current and former pro baseball players such as ex-Boston Red Sox Manny Ramirez. Filed under: Baseball • Courts • Florida • Sports • U.S.
@chrissy It looks like it was back again. SIGH! Lol @ dazzle does *it* ever leave??? Lol like the blob! Remember that movie? Lol when i visualize him thats the image i get too! CNN, What is the purpose of allowing this conversation between @chrissy and @Mary? It is not related to the story and serves no purpose here. Please let them do what they want to behind closed door in their log cabin - that's their business. But please allow at least an iota of relevance between the comments and the story. Aww @ John, and WHAT relevance is your conversation to the topic of this thread??? Ya poser.